I know I am not alone in my extreme love for Goodreads. If you love to read, this site is a MUST. There are lots of other comparable sites (LibraryThing and Shelfari are two), but for me, nothing comes close to the awesomeness that is Goodreads. When I first turn on my computer at school every morning, I open my Destiny catalog first, my email second, and Goodreads third. It stays open in a tab all day, and I refer to it frequently all day long. One important caveat to remember when using Goodreads with middle or high school students: Get parent permission before you help students sign up. As with all social media, the minimum age is 13, but it is the parents' choice to let their children sign up. Of course, some students will sign up regardless, but don't set yourself up for a problem. Goodreads contains reviews of all kinds of books and excerpts, some of which are not intended for young readers. Reviewers sometimes use profanity, and quoted material may contain mature content. For elementary-age students, I would not use Goodreads at all. Biblionasium is EXCELLENT for kids under 12; it's the one I show to sixth graders. Teachers can create "classes" and parents can set up email regarding their child's activity on Biblionasium. "What's the sequel to...?" --How many times a day do I get this question? Simply search for one title in the series, click on the series title, and the series will appear in numerical order. Voila! "When does _____ come out?" --Every book's profile includes the publication date, even if the book is not out yet. Most-Anticipated Wall--This is a wall in my library devoted to books that are not yet out. I print the cover photo (in color) and put a caption under it saying the title, series if applicable, and expected publication date. When ordering, I refer to this wall so I don't forget anything that has come out recently. When we receive the new book, I take the photo down. I constantly keep up with this board. Every time I'm in Goodreads and see a soon-to-be-published book that I plan to order for the library, I go ahead and copy the photo onto my template right then. My template holds two books/cover photos, so once there are two in the template, I print them and add to the wall. 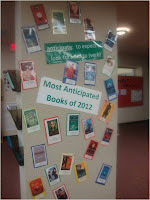 Cover Reveals--My students get so excited about new books in their favorite series. Goodreads includes the newest book covers as soon as they are available. Average Rating--Unless they are extremely well-reviewed for middle school or I have loved them myself, I steer clear of books with low average ratings (less than 3.5 or so). I do take into consideration the number of ratings. Newer books don't tend to have as many ratings, so one really low review can skew the average considerably. Don't forget to keep this in mind! Genrefication--My fiction section is genrefied into 18 sections. 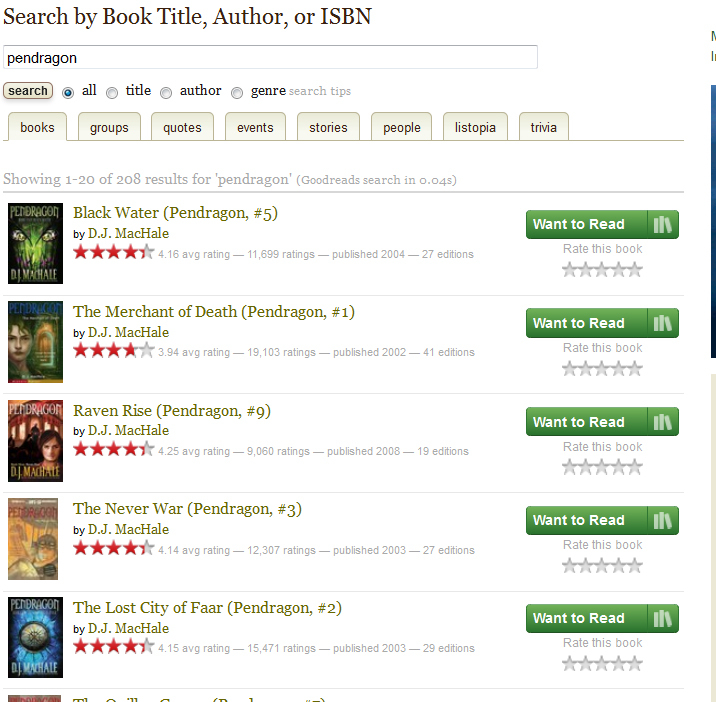 I can't possibly read EVERYTHING, but Goodreads lists other users' "shelves" in the right-column of the book's page. Search the book, then scroll down until you see what genres others have "shelved" the book as. They will conflict a little, but it really helps when I am trying to decide between two genres. Listopia--Go to the "Explore" tab at the top and click the down arrow. Click Listopia. You can search thousands of lists (created by other GR users) for whatever search parameters you want. This is especially helpful when ordering--I search "2013 middle grade" and "(month of year)+(year)+ya" (example "September 2013 ya) lists every time I order. Also check out funny lists like "Cover Clones", "Dude, Where's My Forehead? ", and "Where's My Body?" Groups--Join one or start one! For added privacy/confidentiality, you can create school groups where you have to invite members in order for anyone to be able to see the group. As with all social media platforms, I recommend getting parent permission before signing students up for a group. Challenges/goals--I set a reading goal of 100 books each year. I've never made it to 100 in the three years I've been doing it, but I think 2013 may be my year! Write your own reviews to remember what you read and what you thought--I review every MG and YA book I read, and I frequently go back to my reviews to refresh my memory about books that I am about to book talk. It helps me remember character names, basic plot, and maturity levels (I include mature content ratings). Create your own shelves--You can create your own shelves (as far as I know, the number is unlimited--I have about 15 shelves). The ones I use for school are: Content review not-yet-purchased (for books I want to purchase but want to read first to check for mature content) and content review--purchased (for books I purchased but am having second-thoughts about due to possible mature content). I also have shelves for NetGalley books, Edelweiss, by publication year, 5-stars, and Texas authors. Trivia--Click the down arrow next to the "Explore" tab at the top. Select trivia. 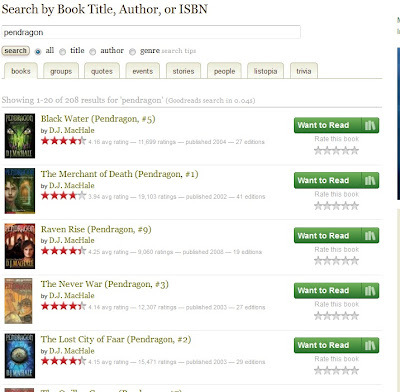 It is never-ending, but Goodreads will save your results if you are logged in. I have completed over 3200 questions to date with 59.9% accuracy. I didn't do all those questions in one sitting though! Addictive! Quizzes--Did you lose AR at your school and now have to write your own reading quizzes? Check this section of Goodreads to see if the book you need has a quiz. No, these aren't perfect (they're written by GR users of all ages), but it's a great starting point. The quizzes are located under the "Explore" tab, click on "Quizzes." Giveaways, free downloads (excerpts or whole books)--I haven't personally used this section, but I've had a few students win the giveaways. If you or your students use this feature, be sure to read and review the book--that's why they are giving it away in the first place. How do you use Goodreads as a librarian or teacher? I love it too. We are using it for a district wide teacher book club this year so hoping to get more addicted like me. @Kris--The most-anticipated wall is awesome! It's the most useful wall in the library, both for the students and for me! Awesome! Thank you for breaking this down! I'm using this in a presentation to show off the best of the best from librarians. Your blog rocks! Wow. This is incredibly helpful! Thank you! Listopias are a great feature at GR. Wow! There are so many ideas to incorporate technology in the classroom, but reading and technology is a win-win for my students. It would be a great tool to get families to use this nighly as oppose to student's writing in a notebook using leveled text. We already provide a list of options for students to use as reflection starters. It can be posted online as a reference for them. GR could be the vehicle for students to post their reflections and recommend good books to peers. As a primary teacher, I would definitely use Biblionasium to protect my students, encourage them to read, and have a book chat with me using our school Ipads. I teach 5th Grade ELA and Social Studies. Goodreads offers so many innovative ideas for teachers to incorporate technology in common core reading and writing. Biblionasium will be a great resource for my students to utilize to motivate them to explore a variety of genres, write about what they have read, make comparisons with other literature-while incorporating the use of our school IPad mobile cart and netbooks. Wow, Its useful for us..Thanks for sharing.